Oxnard, CA Feb 12, 2015 From The Heart Productions, the film funding non-profit that oversees the Roy W. Dean Film Grant, has awarded the final Film Grant of 2014 to director Stephanie Howard for her documentary “Not The Same: Families After War”. Stephanie will receive nearly $30,000 in film services and cash to help fund her project and get it completed. “Not The Same: Families After War” addresses the emotional challenges faced by those who care for their loved ones wounded in the wars of Iraq and Afghanistan. 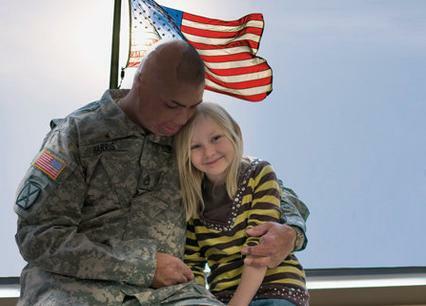 It is about military men and women who must now rely on their families to heal and to function. The Roy W. Dean Grant is awarded to films that are unique and make a contribution to society. The grant offers cash as well as discounted production services and goods to help filmmakers get their projects started or completed. Over 200 filmmakers applied for the Roy W. Dean Fall Film Grant. The yearly deadline for submissions was September 30th, 2014. Projects submitted included documentaries, narrative features, and short films. In addition to $2,500 cash given by From The Heart Productions, the winner will receive a hard drive from G-Technology, tape stock from Comtel/Edgewise Media, major discounts on post production services from Solvent Dreams, full theme music and score from composer David Raiklen, and much more from many heart-felt donors. “Carole Dean and From the Heart Productions have been my fiscal sponsor for my documentary. In that time, Carole has gone above and beyond to guide me through the documentary process and has always been there for advice… and some great “cheerleading.” said winner Stephanie Howard. Submissions are now being accepted for the 2015 Roy W. Dean Spring Film Grant. Cash value for the grant has been increased to $3,500. Stephanie is a co-producer of the award-winning documentary “Refusenik”. She is a television news producer and writer based in Los Angeles and has worked at local television stations as well as the L.A. bureaus of Fox News Channel, CNN, NBC News and Reuters. Stephanie is winner of a commemorative Los Angeles Area Emmy for her work as associate producer of the news magazine program “L.A. Roundtable”. She has also been nominated for Emmy awards as a segment producer at KTTV News and KNBC-TV. Now in its 23rd year, the Roy W. Dean Grant awards filmmakers with great stories, told with passion, the funding to get their projects started or completed. Films submitted to the grant can be short films, documentaries or features from early stages of pre-production to those needing help in post. The grant has been integral in making sure that talented artists with great stories get their films produced. Recent past winners of the grant include the award winning “Heist: Who Stole the American Dream”, “The Winding Stream: An Oral History of the Carter and Cash Family” which was featured at film festivals in , and “Mia: A Dancer’s Journey” which just premiered in New York this February. 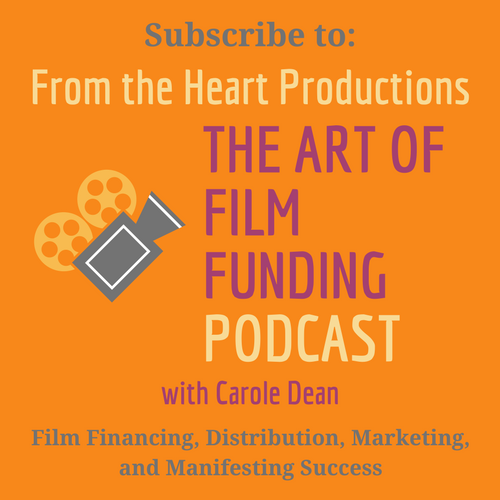 From The Heart Productions is a 501(c)3 non-profit dedicated to helping filmmakers get their projects made. Besides providing funding through the grant, they are also a fiscal sponsor which allows donations made to films they sponsor to be tax deductible. From The Heart has raised over $1.6 million for crowdfunding films as a partner with Indiegogo. 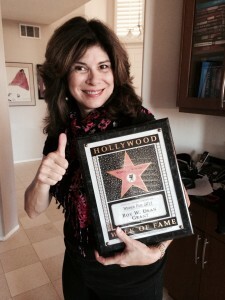 President Carole Dean is the best-selling author of “The Art of Film Funding” which is now in its second edition. 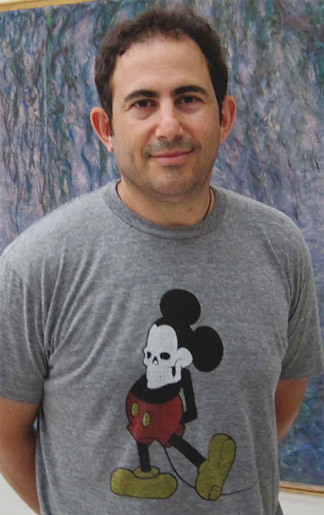 Check out his imdb.com!–fascinating films and subjects–Robotic Mayhem from Survival Research Laboratories; Bomb It featuring rave influencers Crystal Method and Moby; and Bomb It 2 exploring global graffiti leaders. His current project is producer and PMD (a dual role he doesn’t recommend) for a breast cancer awareness doc following the treatment choices, decision-making and post-treatment stories of several women. Nugget 1 – Every indie film budget needs a PMD, a Producer of Marketing and Distribution. The PMD develops and implements a marketing and distribution strategy at the start of the project. The PMD ensures early and ongoing engagement of the target audience through a storytelling platform, develops niche-influencer partnerships, and defines a festival, live event and digital strategy including merchandise and delivery. The PMD starts with a low percentage of budget and high time investment and inversely ramps up over the life of the project. At the project’s start the PMD’s focus will be audience and partnership strategy and development, a big investment of the PMD’s time. As the project matures, the PMD’s budget will increase with live event, digital and merchandise strategy rollouts leading up to the ‘premiere’ event. Once the film is released, 100% of the budget becomes marketing and distribution related expenses. Basically, it’s a key job that needs to be baked into today’s indie film budget if you want to “dent the media landscape,” as Jon put it. Makes sense, huh? Nugget 2 – To engage, build and maintain your audience relationships, have a storytelling platform that lives alongside the film project. The storytelling platform will build your audience community and create a win-win relationship, nurturing partnerships with like-minded influencers and organizations in your story niche. Jon’s example: His current breast cancer project examines the controversial questions about over-screening and overtreatment, trends in lumpectomies and mastectomies, and issues of reconstructive surgery. The breast cancer film’s storytelling platform is partnered with a like-minded charitable organization, sharing their audiences and publicity campaigns during the project. His tip for filmmakers with controversial subjects—engage influencers early and hold off on social media promotion of your topic until there are strong strategic partners with buy-in to share in diffusing controversy. A win-win for both, the breast cancer charity will ‘inherit’ the film’s storytelling platform after the film reaches distribution–a real motivator for charity buy-in. Make the media match the audience: know who your audience is and develop content that engages them directly as early as possible in the project. Marshall geographic/regional support: If you can link your film subject to a community or region, you’ll interest local press and publicity for your project. Strategic relationships: develop win-win relationships with both influencers and organizations in your niche subject. Having the support of celebrities, bloggers, charities, civic groups or even government agencies to develop your audience should be a win-win. To develop these relationships, just introduce yourself and connect, and be prepared to answer should they ask what you have to offer and what you want from them, such as screening outreach, dvd promotion, profit sharing, co-publicity events, etc. Jon’s breast cancer strategy started with the influencers and organizations in the breast cancer niche, then expanded to embrace influencers in women’s health. One off films are easier to produce events around than a series because a filmmaker has more opportunity to dent the media landscape—but take advantage of series elements in your marketing. Your final film doesn’t have to have a 90-minute format! 45 minutes more or less is an optimum length for a live event with publicity or a screening party with interactive discussion. Check out the interesting events other indie filmmakers are doing like This American Life and HitRECord. Jon wants to talk to you. He made it clear in this interview that he is very curious about what you are up to – he just loves talking to filmmakers. Once again, thanks go to From the Heart’s Carole Dean for her extensive reach into the world of independent filmmaking to deliver this great interview. Here’s more info from Jon, including how to get him on the phone for a chat: www.jonreiss.com; Jon in Wikipedia; Think Outside the Box Office; and Jon’s Free Consultation. War Photographer is Christian Frei’s portrait of veteran photojournalist James Natchwey who covers wars, poverty and other places of strife. Frie’s camera follows Natchwey on assignment, at his workshop, and those who speak of Natchwey—especially his editors. Natchwey speaks eloquently—and with keen insight—of his own work. As I viewed War Photographer, the word ‘extreme’ kept cropping up. The subjects of war and poverty are, of course, extreme; and so is the high quality of this production; and the extreme insight Natchwey has in himself, his work and intentions; the extreme ability he has to articulate his insights; the extreme calmness and quietude he manifests on assignment; the extremely horrible images and stories we, the audience, inevitably must see when taking in his work—and the extremely inspiring nobility of James Nachtwey. 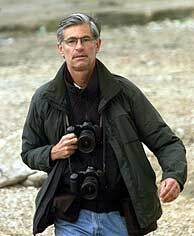 War Photographer is a classic, timeless documentary. I have a slowly growing list of documentary films that stand out, that haunt me, and this is one of them. Natchwey and his story are unforgettable.